Our Restoration & Transformation Program is a residential rehabilitation program created to free men from the control of drugs, alcohol and other destructive behavior by establishing an active relationship with Jesus Christ. The program can accommodate 50 students in systematic Bible study, biblical counseling, regular drug testing and work therapy. Classes and tutoring in reading, writing, math, job readiness and computer skills are also provided. 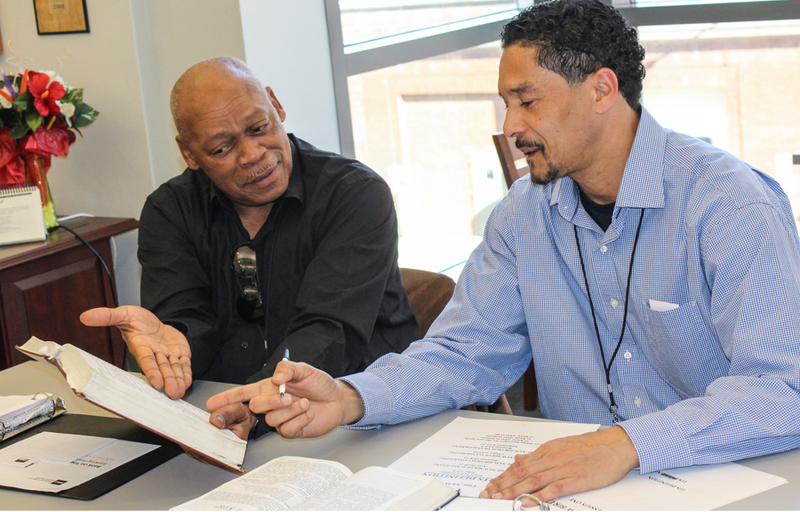 After completing the program, men enter a Transition Period where they seek employment and are mentored through a gradual transition back into the community. We enable restoration of family relationships and a strong relationship with a mentor church to help prevent relapse and ensure the graduate’s continued growth and accountability.